Season two of Outlander ended with(Caitriona Balfe) and her grown daughter Brianna (Sophie Skelton) learning that Jamie is still alive. But his new trailer for season three jumps back a bit. Actually, it jumps back a lot. 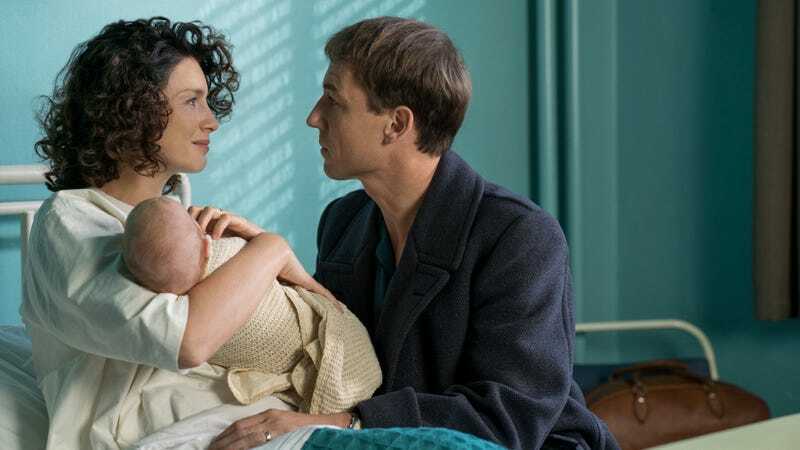 While the first, very short teaser was about Jamie (Sam Heughan, almost all of this one is devoted to Brianna’s life and the struggle for Claire to let go of the life she had in the 18th Century with Jamie, while raising their child in the 20th Century with Frank. Precious little is shown of Jamie, save for a betrayal that gets him arrested. All of this is story that takes place before the ending of season two. So I guess we can safely say any reunion is going to a bit further down the road than any of us would like. Correction: The original post had some names misspelled. I regret the error.